After much deliberation, Gameplanet has decided on its E3 Awards for 2016. 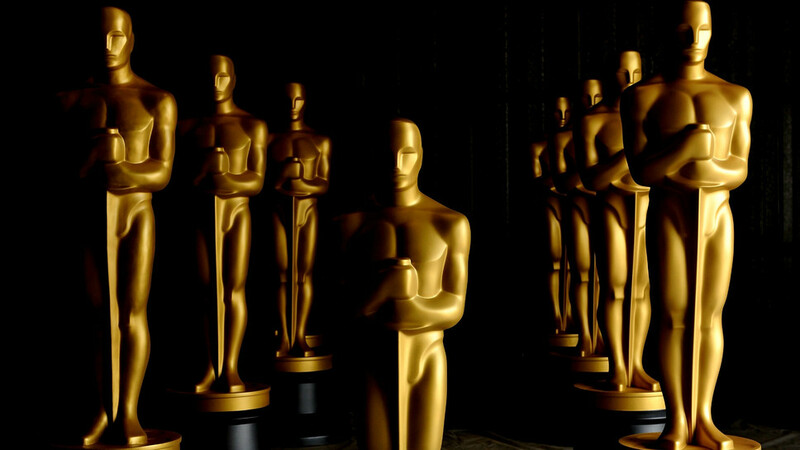 ANDREW takes you through all the glitz, glamour, and godawfulness of gaming's biggest week. 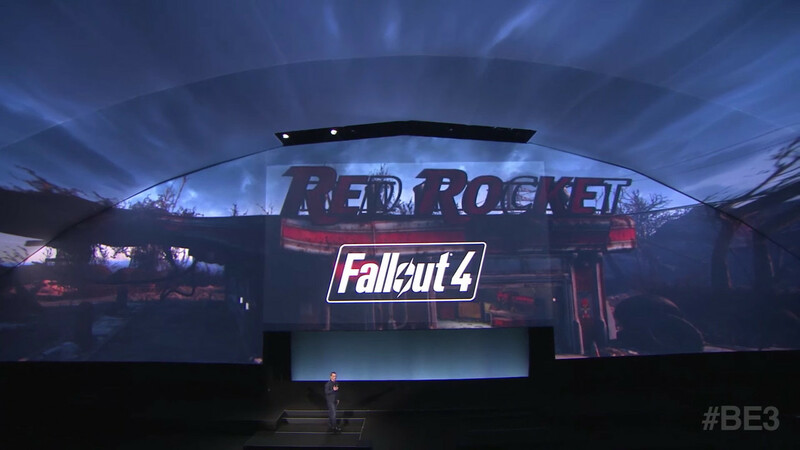 The major publishers' conferences at E3 2016 have been and gone, leaving a smouldering heap of game announcements, hardware reveals, and on-stage grandstanding in their wake. Many websites present awards like "best shooter," "best graphics," and the like, but we don't care for such presentations. Not only is it way too early to bestow that kind of mantle upon these games, with only controlled demos and marketing available, they're just far too serious for an event as hilariously overblown as E3 Expo. So without further ado, here are the official Gameplanet E3 Awards. We almost gave this to the curtain-pull that revealed Hideo Kojima standing centre-stage at Sony's presentation, but Ubisoft just edged it out. 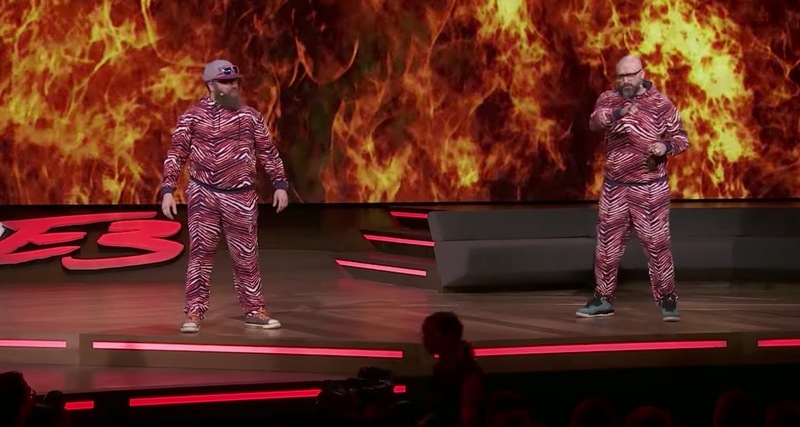 Entering from the back of the theatre clad head-to-toe in dazzle-camouflage Zubaz tracksuits, Far Cry 3: Blood Dragon director Dean Evans and RedLynx cofounder Antti Ilvessuo strode onto a stage backed by flames and '90s dance music. Only the crazed genre mash-up Trials of the Blood Dragon they proceeded to introduce could even try to outdo that entrance. Sony didn't bring along the multiscreen glitz of Microsoft's stage setup or the costumed dancers of Ubisoft's Just Dance cold-open, or even lead with a sizzle reel like most publishers would. 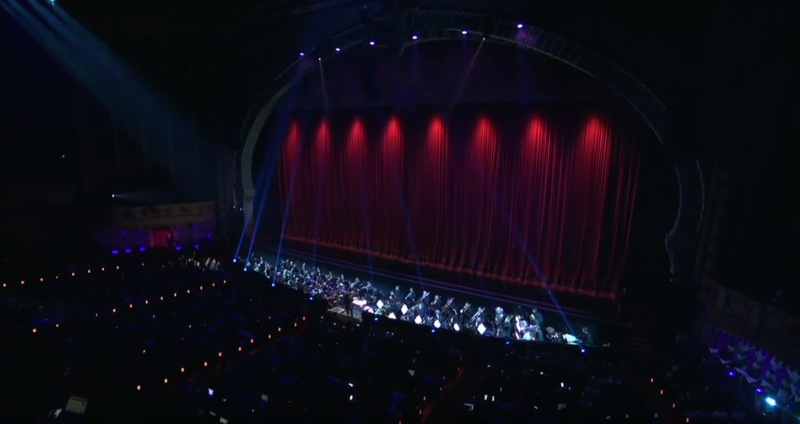 Instead, its presentation opened in the dark with a musical overture, courtesy of an orchestra, a men's choir, and a female lead vocalist, all led by composer/conductor Bear McCreary. The Norse-inspired music was the perfect lead-in to a God of War reveal, but more importantly, it was old-fashioned theatricality in a realm usually dominated by garish, flashy noise. The rest of Sony's show was similarly restrained, with the publisher confidently letting its trailers and gameplay footage play out without much in the way of onstage silliness. With the United States' worst mass shooting in history taking place the night before the conference began, all eyes were on the major publishers as to how – if at all – they would acknowledge the tragedy in their press conferences. 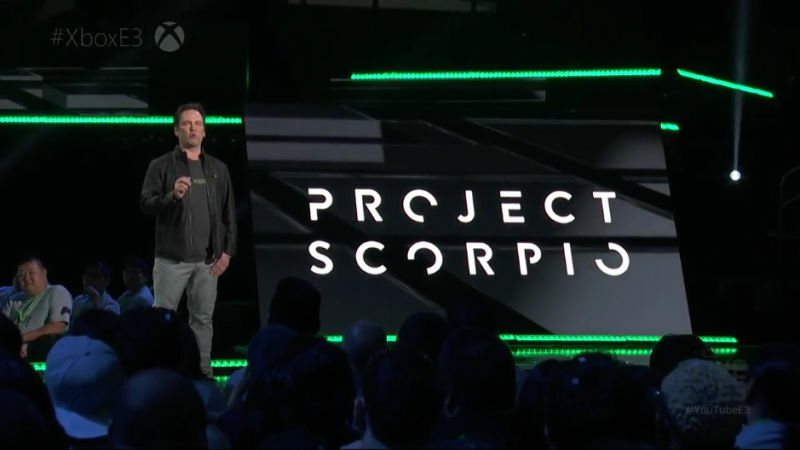 Microsoft's presentation opened with a moment of silence for the victims, while Sony and Ubisoft started their shows with messages of sympathy that somewhat awkwardly pivoted into the usual excited celebrations of largely violent video games – which, in Sony's case, closed with a character mowing down swathes of zombies with a machine gun. EA didn't acknowledge the shooting at all. 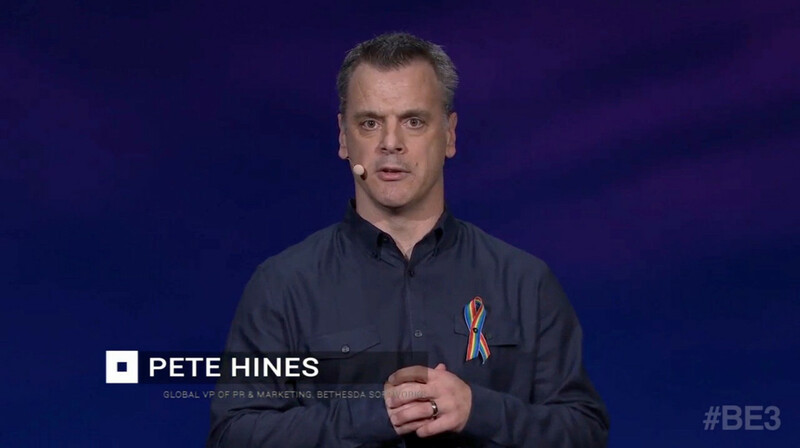 It was Bethesda – only directly addressing the event via Twitter, while putting rainbow ribbons on all its presenters in support of the LGBTQ community – that did it best, avoiding mixed messaging while still showing quietly heartfelt solidarity. Of course the weirdest game introduction of the expo came from Hideo Kojima, creator of titles like Snake Eater, The Phantom Pain, and Policenauts. The reveal of Kojima Productions' first title as Death Stranding was a perfect, hilarious capper to the most bizarre trailer of E3. We have no idea what the game is about (Norman Reedus giving birth via C-section on a beach full of stranded whales? ), but we're 110% in. Grow Home was a fun little experiment from Ubisoft Reflections, offering a few hours of goofy climbing and disturbingly phallic plant-growing. It was, literally, an experiment, designed to test out a procedural character animation system Reflections had been working on. As such, it would have made sense for that system to appear in another, bigger Ubisoft title – nobody expected Grow Home itself to get a full sequel. But a sequel it will get, and we're excited to see what Reflections - an inventive studio that wowed us with the underrated Driver: San Francisco - expands its cute little robot's abilities and environment. E3 is always an excuse for gamers, industry figures, and journalists to exercise their live-tweeting skills, and this year was no different. The biggest tweetsplosion we witnessed came courtesy of Titanfall 2's single-player trailer – specifically, the moment where the Titan character recites its third directive, "protect the pilot." It's an oddly adorable moment, creating a more primal bond between human and machine than Michael Bay's Transformers movies ever managed, and it became a favourite moment for many a Twitterer. Hopefully the game's campaign lives up to it. Ubisoft listened to critics and fans and appears to have boosted the array of hacking abilities in its sequel to Watch Dogs. Players can now do a whole bunch more, from taking control of vehicles to framing people for crimes (which seems more than a little hypocritical given that its protagonist is trying to clear his name after being framed himself, but sandbox games have never really been known for their moral consistency). However, like the original, all that hacking goes out the window the moment guns are drawn, and the relevant moment in Ubisoft's Watch Dogs 2 gameplay demo was also precisely the moment we tuned out. Gone was the implausible fun of hacking everything in sight, replaced by the same cover-shooting we've seen in 80% of AAA games from the past several years. Game director Danny Belanger says the game can be completed non-lethally, but the marketing so far doesn't seem to encourage it. We all know The Last of Us 2 is potentially on the cards for Naughty Dog. It’s the logical (if predictable) next step after wrapping up the Uncharted series: return to the bleak, zombie-infested American landscapes it did so well last time. So we were surprised when Days Gone rolled up, looking for all intents and purposes like a Last of Us sequel or spinoff, bearing a title nobody had heard before. It’s got the same third-person action and scrounging gameplay, the same world design aesthetics, the same sense of despair. Doubly weird is that Days Gone is a first-party PlayStation exclusive just like The Last of Us - it’s not as if some other publisher decided to rip it off. All of this only intensifies the feeling that open-world zombie survival games are as overdone as the last sausage on the barbecue. We'll admit, Dual Universe looks like it does a few things No Man's Sky doesn't. The apparent addition of crafting and city-building imply a phenomenally complex game from what is surely an even smaller team than Hello Games. But would Dual Universe even exist were it not for No Man's Sky? Would it raise as many eyebrows were there not already huge attention on open-universe space sims? We're also keen to hear why the game is even called Dual Universe when its marketing trumpets its "single shard universe." Our first thought in this award was to go with Bethesda, whose product slate was made up entirely of sequels, reboots, spinoffs, DLC, and remasters - emblematic of the risk-averse nature of AAA video gaming on the whole. But even that presentation had a few surprises and a few new(ish) ideas. EA’s presentation, on the other hand, was not just made up of franchise entries; it was largely free of innovation. The most exciting things in the presentation came from outside EA’s own studios: the Play To Give charity, the EA Originals programme. Despite flashy trailers and enthusiastic presenters, there was a sense that EA is treading water, leaning on its tried-and-true concepts while its genuinely new IP continues to undergo development. 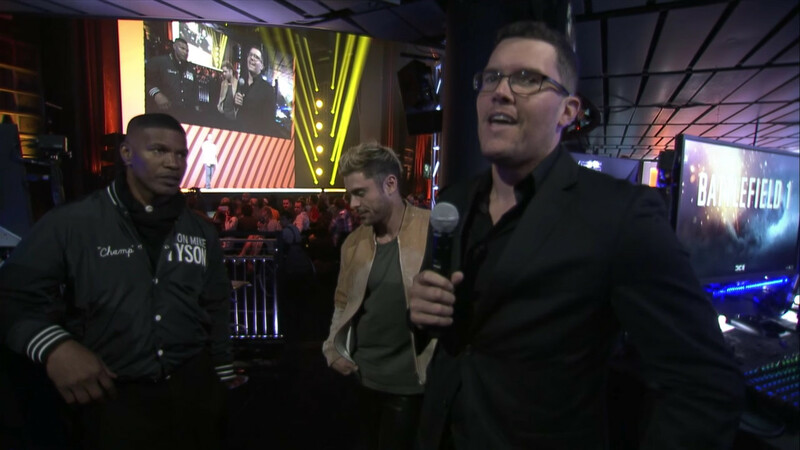 The awkwardness of Jamie Foxx and Zac Efron at the side of the stage didn't help, either. Microsoft: "the most powerful console ever built"
We get it, Microsoft: you’re still sore about the minuscule edge in processing power the PlayStation 4 has over the Xbox One. But do you really have to make a claim like "most powerful console ever built," which Moore's Law guarantees will become incorrect within a year? Microsoft's chest-beating over its new Xbox belied the company's shaky vision over where console gaming is headed. Furthermore, with a year-plus lead time on the announcement of the new console, Sony now has time to regroup and respec its own upgraded console (possibly to the dismay of developers), should it so desire. Going into Ubisoft’s hopped-up E3 presser, one thing was on our minds. Would someone from Ubisoft address the elephant in the room, Vivendi’s impending takeover bid that had already swallowed up Gameloft? 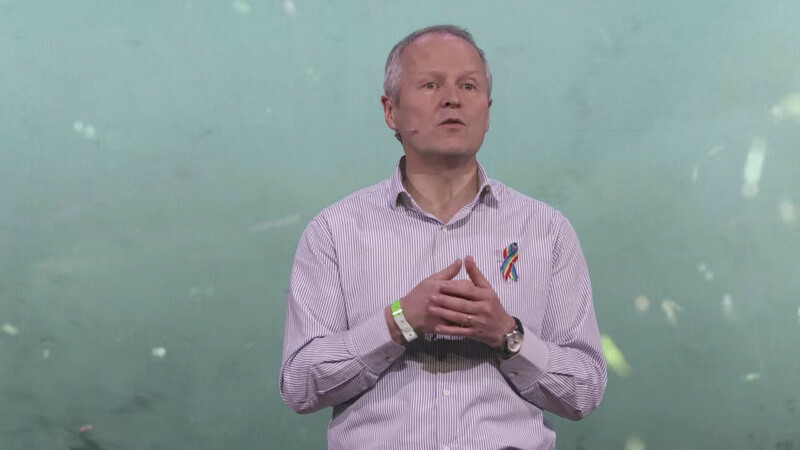 When CEO Yves Guillemot took the stage at the end of the show, he delivered a rousing speech about creative freedom in celebration of the company’s 30th birthday. But while the words were celebratory, in context the tone was defiant: Ubisoft still has its creative freedom, Guillemot was saying, and it will fight tooth and claw for “another 30 years” of it. The subtext was laid on so thick it was impossible for anyone with any sense of context to ignore it. E3 Expo will return next year, and for at least two more years after that, introducing marketing buzzwords and flashy trailers to entirely new generations of gamers.